Where do we go from here? The one year anniversary of the nation's most heinous shooting is upon us. What will happen when it's over? Will we act as a nation to keep our children safe? Some measures have already been taken and the national conversation has begun. We just witnessed a government shutdown that kept scientists away from doing their work. Deciphering the inner workings of the brain, the effects of genes on development, and the impact of a multitude of environmental factors that convey risk for mental illness is a task of extraordinary complexity. Bringing sustainable, evidence-based interventions to those in the population who need them is a daunting undertaking. Until we grasp how important this effort is, and embrace how much financial support it will take, we may find ourselves wondering and debating if a future shooting could have been prevented via advances in knowledge and practice. Although these three public health challenges remain, it is good to know that they are at least not being dismissed or are fading away. We may eventually look back on that horrific day at Sandy Hook Elementary as a turning point and catalyst for making real and sustainable progress in our efforts to keep children safe in school." There is hope. We have seen nothing like what has happened after the Sandy Hook shootings. 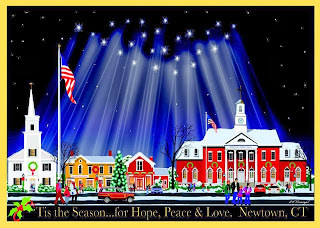 Now "we are all Newtown" as some have said. We all felt the shock of the deaths of 20 first graders. This was just too much. This article by Monte Frank, a Newtown parent who has been so active in promoting peaceful solutions to gun violence shows the resolve of the Newtown families and the hope they have for positive change. The day I have been dreading for a long time is almost here. This upcoming Saturday is 14 December, a year since that dark day when evil visited my town killing 20 children and 6 educators at the Sandy Hook School, that wonderful community school down the road from me. I feared that we would be hurled back to that awful period following 12/14 when the media overran the Connecticut town no one had heard of, a time when we could not sleep, we spent our days pretending to be strong for our children, and we quietly escaped into the bathroom to cry. But now that the "day" is so near, my trepidation has subsided. At the six-month "anniversary" Newtown Reverend Matt Crebbin ended the interfaith service he led by blaring Bob Marley through the Church's sound system: "One Love! One Heart! Let's get together and feel all right." He was right. 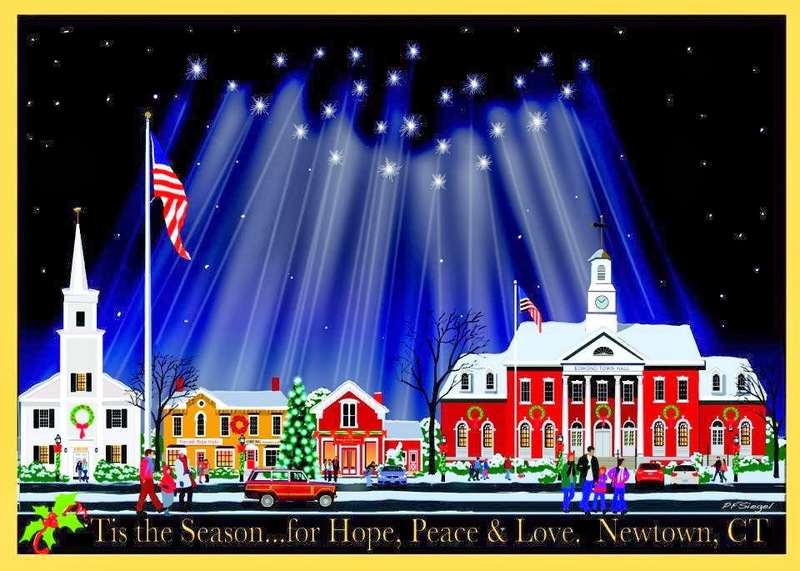 Newtown got America together and began building a partnership among communities from coast to coast, all united to reduce gun violence, and, it feels all right – or, at least, a little lighter. On the cusp of the anniversary, I have HOPE, hope that because of this new coalition of Americans, "change is gonna come". Newtown is no longer just a place, but a movement. The article goes on to list the state gun laws passed, the rejection of the NRA's attempts to make their own agenda the only agenda about guns and gun violence, election victories in spite of the NRA, corporations waking up to the fact that advertising guns like the one used at Sandy Hook, for example, may not be a good idea after all and the new energy and organizations formed after the country's most heinous mass shooting. But in spite of all of this, nothing ever stops the pro gun side from being tasteless and insensitive. This Florida Congressman claims it's a coincidence that he will be holding a "gun safety" program on December 14th. Really? If he thinks we believe that, we have a bridge to sell him in Brooklyn. If this Congressman doesn't recall that the date of the country's most heinous mass shooting was December 14, 2012, then perhaps he should be reminded. Further the pro gun side intended to have displays of guns and rallies on December 14th. When they got push back, they moved their "guns save lives" events to December 15th. Clueless. We understand the real intent of these guys. They love to be in the faces of gun violence victims and gun violence prevention advocates. They feel free to use offensive and threatening language. They hate victims and often even verbally attack them. I have experienced that right here on this blog. This vitriol has increased recently on blogs, articles and Facebook. Can one say they are "shooting themselves in the foot"? Sean Soendker Nicholson, executive director of Progress Missouri, questioned Nieves' decision to do the giveaway just days before the state's gun veto vote. He noted that law enforcement officers have urged lawmakers to uphold Nixon's veto of the law, which would not allow the enforcement of federal gun laws that infringe on Second Amendment rights. Nieves has raised eyebrows in the past for a series of reasons, including a Facebook post in July where he called liberalism a "mental disorder." And during a bizarre April email exchange with a constituent who asked to be removed from an email list, the state senator accused the person of being in love with him. In 2010, Nieves was accused of assault by Shawn Bell, the campaign manager for the candidate Nieves defeated in the GOP state Senate primary. Nieves denied the accusation, and the Franklin County prosecutor did not file criminal charges, citing a lack of evidence. Both SAF and the NRA argue that navigating a maze of local gun laws is confusing: You can't expect gun owners to read the municipal code every time they cross a town line. However, it appears that some of the ordinances SAF has targeted have rarely, if ever, been used to prosecute gun owners. So why target them? "In many cases, laws are designed to set a tone and to provide guidance on the expectation of behavior," Benjamin explains. "During the 17 years since I was first elected mayor, we have never issued a single speeding or parking ticket, yet people seem in general to obey our traffic and parking control laws. Would it make any sense to repeal those laws because we have not prosecuted anyone under them?" And then remember that Saturday will be a day to remember the victims. 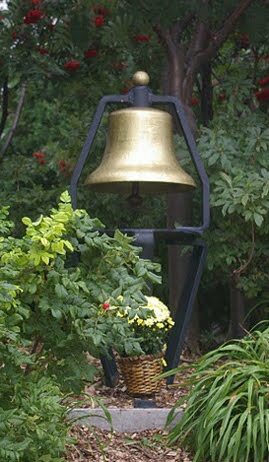 Saturday will be a day to ring bells, light candles, have respectful conversations and urge Americans to remember that a national tragedy like the Sandy Hook shooting is a reminder that if we don't make our voices heard, it could happen again. It's time for the silent majority to make more noise than the extremist minority. It's time to ask our Congress to "Finish the Job" on expanding Brady background checks. It's time for a serious national discussion about gun violence and the American gun culture because what we have now is clearly not working. I will #HonorWithAction on Saturday and every day. As someone who knows what's like to lose a loved one to the sudden and unexpected violent death by bullet, I will be with them all and wish for them the ability to move forward and to not let the country forget what happened last December 14th. "The year following Newtown has seen the advance of gun safety as an issue important to Americans, including a renewed interest in gun safety legislation at the federal and state levels, new evidence that the NRA cannot determine election outcomes even in its home state of Virginia, increased grassroots and monetary pressure on the gun safety issue, and cultural indicators showing a rejection of the NRA's fringe agenda." I'm glad they think they're doing well, but in actuality, maybe not so well. "An impressive (roughly) 1,500 state gun bills have been introduced in the year since the Newtown massacre and, of those, 109 are now law, according to The New York Times. Seventy of the enacted laws loosen gun restrictions, while just 39 tighten them. And, though largely symbolic, some 136 bills nullifying federal gun regulations were sponsored in 40 states. In Colorado, two pro-gun control lawmakers were booted from office in historic recalls and a third stepped down in anticipation of a similar fight. The nonprofit Sunlight Foundation, which promotes government openness and transparency, reviewed lobbying, spending and policies at the state and federal level over the years and, along nearly every metric, rights advocates have trounced opponents." That was a bad move by the gun huggers and the gun bullies, but psychology teaches us that there is frequently a surge in the undesirable behavior right before extinction of it -- a kind of last hurrah before the change becomes permanent. The other reality you don't mention is that there has been a very real, strong, steady decline in gun ownership, with far fewer people owning guns but a few owning many.guns, hording big caches of ammo. The NRA and their puppet masters, the gun manufacturers, are running out of buyers. The cold hard reality is that gun fanatics, the ones who have delusions about what guns do for them, are going the way of the dinosaur. They are becoming an ugly minority that is directly associated with intimidation, injury, and violent death. No one in their right mind could find it reasonable that will continue indefinitely as the status quo. The gun culture is literally killing itself off. People are getting angry at the mass shootings; and if the gun nuts keep fighting instead of helping that inevitable change........well, then it's going to hurt them much more than it has to, but I can live with that. Change is inevitable; fighting change rather than shaping it is unwise. The only question left really is how violently that gun culture is going to end with each and every one of those gun bullies. Mark Kessler, for example, went out with a whimper from the public square into well deserved obscurity, powerless, disgraced, a laughing stock. If I were you, Mark, I wouldn't be proud of measures that contribute to the death of innocent people and those that oppose measures that could save lives- especially during this time of remembering the lives of 20 massacred first graders. Naturally the gun-rights fanatics don't agree with this, but I think they're whistling in the dark. They know that when the balance of the Supreme Court changes, they'll lose whatever ground they have gained. Meanwhile in many states things are moving towards better gun control.